Both with 6 - Brad Keselowski and Dale Earnhardt Jr. 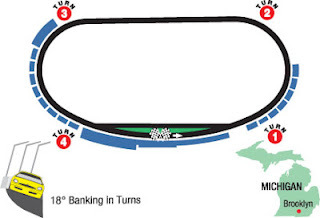 The Likely Suspects: This superspeedway is a favorite for these Michigan elite drivers: Kevin Harvick, Joey Logano, Brad Keselowski, Greg Biffle, Carl Edwards, Clint Bowyer, Paul Menard and Matt Kenseth. My 2 Cents: My no-brainer pick this week is a two-way tie between Kevin Harvick and Joey Logano. My next choices are Paul Menard, Austin Dillon, Martin Truex Jr. and Kyle Larson. I'll complete my team with Chris Buescher and Ryan Blaney. If you have any Carl Edwards starts left (I don't), I would swap him for Kyle Larson. My Final Four: Kevin Harvick, Paul Menard, Austin Dillon and Ryan Blaney. 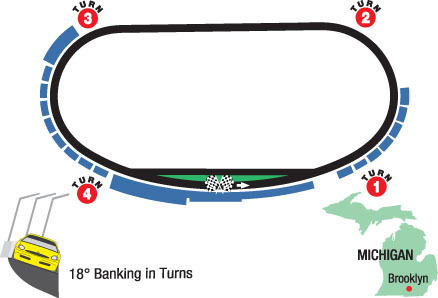 The Coors Light pole position is the most proficient starting position in the field, producing more winners (20) than any other starting position at Michigan International Speedway. Roush Fenway Racing has the most wins at Michigan in the NASCAR Sprint Cup Series with 13: Mark Martin (four), Greg Biffle (four), Carl Edwards (two), Matt Kenseth (two) and Kurt Busch (one). Of all active drivers, Carl Edwards has the highest average finishing position at Michigan in the Cup series with a 9.500. Among active drivers, Kevin Harvick leads the series in runner-up finishes at Michigan with six. Matt Kenseth leads all active drivers in top-five finishes at Michigan with 14. Tony Stewart has the most top-10 finishes at Michigan of any active driver with 21.